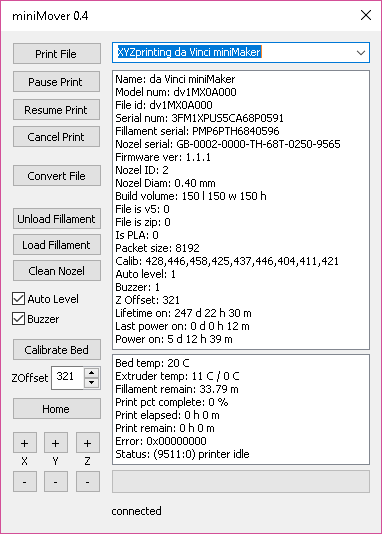 I have written a small windows utility that will process a gcode file and convert it into a .3w file that is taylord to match your particular printer and then send it to the printer to print. Basically this is a rewrite of XYZWare that accepts gcode files. The upshot is that you can use cura or any other slicer to print. At least one person has gotten the command line version to run under wine in linux, I'm sure you can do something similar to make it work on the mac. Also it probably would not be to hard to port to linux or the mac directly, the main component you would need to replace is the serial port code and that is well abstracted. I'm pretty sure this is inappropriate for this site.